The top quality training for science center/museum professionals! The 4th edition of the EMME Summer School will take place 27-31 October in the capital of Kuwait, where it will be hosted by The Scientific Center of Kuwait (TSCK), one of the first science centers that began operating in the Middle East almost 20 years ago. The EMME Summer School has been established to reinforce a stronger partnership between the countries of the Euro-Mediterranean and Middle East and to support democratic transformation and institution-building, with the aim of delivering sustainable and inclusive growth and job creation. The EMME Summer School takes place every other year in September for a duration of one week (five days); it represents both a place of debate where professionals meet to discuss common challenges, as well as a “starting event” for planning programs at the beginning of the new scholar/academic year. 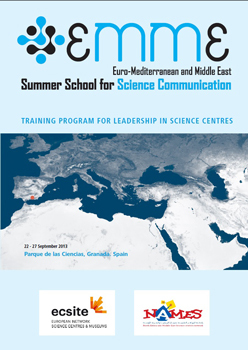 The EMME Summer School is addressed to middle profile staff of existing science centers/museums and to newcomers from other organizations—universities, local authorities, associations, etc.—who want to establish new activities in the field of science communication or to develop new science centers. 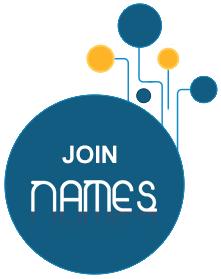 The 1st edition, EMME 2013, was hosted by Parque de las Ciencias in Granada, Spain, 22–27 September 2013. 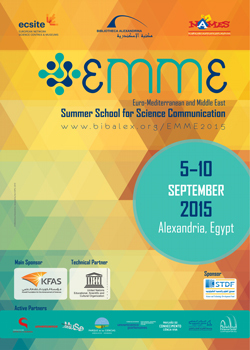 Following the successful results of the first edition, the 2nd edition, EMME 2015, was hosted by the Bibliotheca Alexandrina Planetarium Science Center in Alexandria, Egypt, 5–10 September 2015. In light of the success of the first two editions, a new four-year Partnership Agreement has been signed during the Ecsite Annual Conference 2016 in Graz, Austria. The 3rd edition, EMME 2017, was hosted by Città della Scienza, Naples, Italy, 10–15 September 2017.